The Economic and Financial Crimes Commission on Monday February 29, secured the conviction of one Mfon Obot Essien (alias David Morris, Femi James) at the Lagos State High Court, Igbosere. Justice R. A. Adebiyi convicted Essein on all the Six count charge preferred against him by the EFCC and sentenced him accordingly. The convict was sentenced to seven years imprisonment for attempting to defraud the family of one Shaliseon Warren by claiming that their daughter Shaliseon was kidnapped and the kidnappers were demanding a ransom of $7,000 USD. The sentences are to run concurrently, starting from the day of his arrest. The convict’s journey to prison started when the Commission received a petition dated the 29th day of July 2013, from the United States Department of Homeland Security, seeking its assistance to investigate a transnational criminal organization involved in drug smuggling, money laundering and fraud activities. It stated that a family, whose daughter traveled to Argentina, got a call from her boyfriend that they had both been kidnapped and a ransom of $7000 was demanded by the kidnappers who wanted the money sent to their associates in Nigeria with the following details “David Morriso, 302 Apapa Expressway, Ikeja Lagos. Investigations revealed there was no kidnap but the lady in question was actually arrested by Argentinean Authorities for attempting to smuggle Cocaine out of Argentina. She claimed that her boyfriend, a Nigeria convinced her to do so. 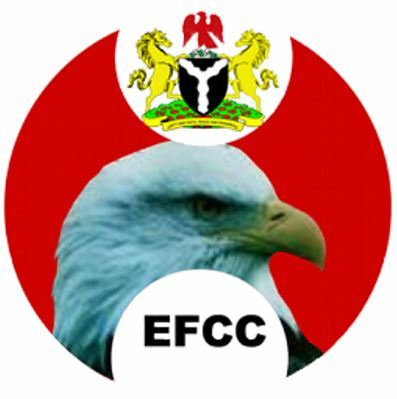 The Homeland Security agents had sought the assistance of Money gram to issue a false funds credit which led to the arrest of the convict by the EFCC when he went to receive the money. Essien was picked up on the 5th day of September 2013 at the Ikota branch of Access Bank Plc after identifying himself as David Morris. Upon his arrest incriminating documents were found in his possession, including a forged Drivers License bearing the name James Femi but with his picture. Further investigation revealed that on July 26, 2013, Essien received the sum of N237,537.68k from one Mark Mentor with another forged Drivers License bearing the name David Morris but with his picture having falsely represented himself to the said Mark Mentor as David Morris. Upon his arraignment on December 17, 2013, the convict pleaded “not guilty” to all the charges but later changed his plea on November 24, 2015 to amended information.